Heard last night on MSDNC on the Rachael “Mad Cow” Maddow show Barney Frank’s advice to President Obama on his re-election (where Obama has had 54 events in the 42 days) was to run against the Republicans pointing out that “they are nuts”. The fact that the Democrats are more nuts doesn’t come into it. After all, most extreme liberals think they are “centrists” and the “extremists” are anyone that isn’t them (aka Republicans, Independents, and Conservatives). Then there’s this: Which is Brilliant and to the Point. Debt scale update: The U.S. government is already borrowing every three days what all of America spent on Black Friday. 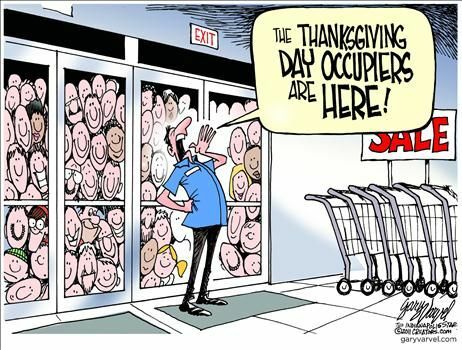 And that was the biggest Black Friday on record. In the last three years, the president has taught us a great deal about America, the world, and himself. Obama has also taught us that a president’s name, his father’s religion, his ethnic background, loud denunciations of his predecessor, discomforting efforts to apologize, bow, and contextualize past American actions — none of that does anything to lead to greater peace in the world or security for the United States. And by the same token, George Bush’s drawl, Texas identification, and Christianity did not magically turn allies into neutrals and neutrals into enemies. The Obama legacy in the War on Terror is as Predator-in-Chief — boldly increasing targeted assassinations tenfold from the Bush era, on the theory that we more or less kill the right suspected terrorists; few civil libertarians care much, apparently because one of their own is doing it. Even Chris Matthews’s leg has stopped tingling. There will be no more Newsweekcomparisons of Obama to a god. Even the Nobel Prize committee will soon grasp that it tarnished its brand by equating fleeting celebrity with lasting achievement. “Green” will never be quite the same after Obama. 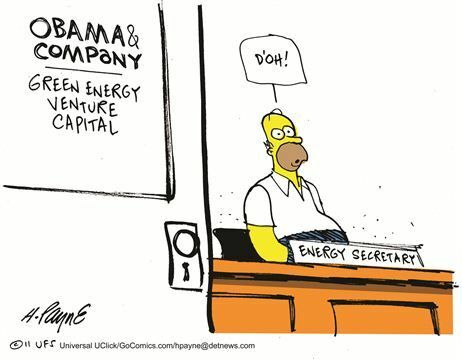 When Solyndra and its affiliated scandals are at last fully brought into the light of day, we will see the logical reification of Climategate I & II, Al Gore’s hucksterism, and Van Jones’s lunacy. How ironic that the more Obama tried to stop drilling in the West, offshore, and in Alaska, as well as stopping the Canadian pipeline, the more the American private sector kept finding oil and gas despite rather than because of the U.S. government. How further ironic that the one area that Obama felt was unnecessary for, or indeed antithetical to, America’s economic recovery — vast new gas and oil finds — will soon turn out to be America’s greatest boon in the last 20 years. While Obama and Energy Secretary Chu still insist on subsidizing money-losing wind and solar concerns, we are in the midst of a revolution that, within 20 years, will reduce or even end the trade deficit, help pay off the national debt, create millions of new jobs, and turn the Western Hemisphere into the new Persian Gulf. The American petroleum revolution can be delayed by Obama, but it cannot be stopped. One lesson, however, has not fully sunk in and awaits final elucidation in the 2012 election: that of the Chicago style of Barack Obama’s politicking. In 2008 few of the true believers accepted that, in his first political race, in 1996, Barack Obama sued successfully to remove his opponents from the ballot. Or that in his race for the U.S. Senate eight years later, sealed divorced records for both his primary- and general-election opponents were mysteriously leaked by unnamed Chicagoans, leading to the implosions of both candidates’ campaigns. Or that Obama was the first presidential candidate in the history of public campaign financing to reject it, or that he was also the largest recipient of cash from Wall Street in general, and from BP and Goldman Sachs in particular. Or that Obama was the first presidential candidate in recent memory not to disclose either undergraduate records or even partial medical. Or that remarks like “typical white person,” the clingers speech, and the spread-the-wealth quip would soon prove to be characteristic rather than anomalous. Ineptocracy (in-ep-toc-ra-cy)- a system of government where the least capable to lead are elected by the least capable of producing,and where the members of society least likely to sustain themselves or succeed,are rewarded with goods and services paid for by the confiscated wealth of a diminishing number of producers. Under the ‘worldwide indefinite detention without charge or trial’ provision of S.1867, the National Defense Authorization Act bill http://thomas.loc.gov/cgi-bin/query/z?c112:S.1867:, which is set to be up for a vote on the Senate floor Monday, the legislation will “basically say in law for the first time that the homeland is part of the battlefield,” said Sen. Lindsey Graham (R-S.C.), who supports the bill. But remember who controls the Senate– The Democrats. So throwing them all out sound pretty good at this point. In October, the U.S. Food and Drug Administration officially approved so-called DNA barcoding – a standardized fingerprint that can identify a species like a supermarket scanner reads a barcode – to prevent the mislabeling of both locally produced and imported seafood in the United States. Other national regulators around the world are also considering adopting DNA barcoding as a fast, reliable and cost-effective tool for identifying organic matter. And since humans are “organic matter” how long before they come for you!?? Then there’s money and power. Starting in earnest in the 1990s, coat-and-tie radicals gathered in Washington and conspired to use banks to “democratize” credit. They socialized the mortgage industry after declaring traditional underwriting standards “racist.” Bankers were ordered to “reinvest” in unprofitable areas, and reallocate capital to people who posed credit risks. When those risky loans went bad, radicals blamed “greedy” bankers and “predatory” lenders. Today, they want to punish bankers and lenders by forcing them to “repair the damages” that they themselves caused. And they don’t care if it drives many of them out of business. In fact, President Obama is deliberately trying to downsize the financial sector. He and his social engineers think it accounts for too big a share of the economy. Obama says his sweeping new regulations are designed to clamp down on bank profits and limit the finance industry’s influence in the U.S. economy. “What I think will change, what I think was an aberration, was a situation where corporate profits in the financial sector were such a heavy part of our overall profitability over the last decade,” he said, adding that his “more vigorous regulatory regime” will “inhibit” the industry’s growth. Think about it: Obama is engineering a controlled starvation of America’s most vital industry — capital, the lifeblood of the economy — as punishment for allegedly causing a crisis that anti-bank community organizers and housing-rights zealots like him actually caused. Why is Obama at constant war with “fat cat bankers” and Wall Street? His mentor, Chicago socialist Saul Alinsky, identified banks as one of the “power sectors” topping the industrial food chain, and therefore a top “target” for street agitators like Obama. “The target, therefore, should be the banks,” Alinsky wrote in “Rules for Radicals,” the bible of the left. Obama was trained in Alinsky agitation tactics in Los Angeles and Chicago. After Harvard, he returned to South Side to train Acorn and National People’s Action leaders. They, in turn, deployed busloads of thugs to terrorize bankers into making easy loans and subsidies in a multitrillion-dollar shakedown that sped the collapse of the banking and housing industries. Obama also represented alleged victims rounded up by Acorn and NPA in class-action lawsuits against Citibank and others. The ilk that wrote “Rules for Radicals” wrote the rules for “fair lending.” Now they’re helping write them again to leverage banks anew, and make credit for the uncreditworthy even easier. But at least you’ll have your bar coded fish!! The Associated Press is reporting that Occupy Wall Street is planning a benefit album, the proceeds of which will help fund the movement protesting income inequality. They hope to raise between $1 million and $2 million with the project. So I guess not all millions are bad. Apparently, if activist groups have them and not Wall Street, it’s totally fine. I’m sure you’re intrigued enough now to want more details, which includes this gem: Michael Moore is planning to sing. Occupy Wall Street has a benefit album planned with Jackson Browne, Third Eye Blind, Crosby & Nash, Devo, Lucinda Williams and even some of those drummers who kept an incessant beat at Manhattan’s Zuccotti Park. Participants in the protest movement said Wednesday that “Occupy This Album,” which will be available sometime this winter, will also feature DJ Logic, Ladytron, Warren Haynes, Toots and the Maytals, Mike Limbaud, Aeroplane Pageant, Yo La Tengo and others. Activist filmmaker Michael Moore is also planning to sing. September 8– Shortly after the passage of the debt limit deal and the spending cuts that went with it, President Obama announcesa second stimulus bill that would cost $447 billion. CBO later admitsthat stimulus spending depresses long-term economic growth. September 18– President Obama unveilsa deficit reduction plan that he claims will reduce deficits by $3 trillion through a combination of tax increases, war savings, and other spending cuts. But a Budget Committee analysis reveals that, thanks to a number of budget gimmicks, the plan would reduce deficits by only $1.4 trillion and would rely entirelyon tax increases. October 14– 900 days pass since Senate Democrats last offered a budget plan. 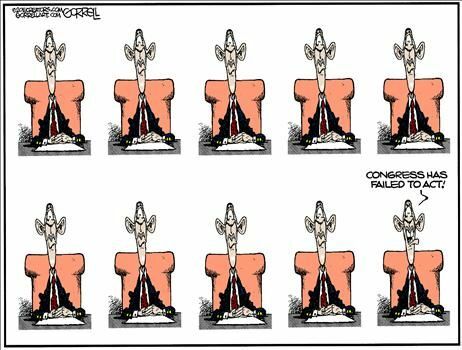 November 7– The Congressional Budget Office reportsthat total federal spending increased in Fiscal Year 2011 by $145 billion over the previous year’s level. November 9– House Minority Leader Nancy Pelosi claims that Democrats didn’t pass a budget when they controlled both chambers of Congress because “Republicans would have filibustered it,” but as she should know, budget resolutions can’t be filibustered. November 11– As the supercommittee continues its tense negotiations, President Obama departsfor a nine-day trip to Bali, Indonesia, and Australia. November 13– Supercommittee member James Clyburn, the House Assistant Democratic Leader,saysthat a draft Democrat proposal has been outlined. A Budget Committee analysisestimatesthis outlined proposal to contain a dramatic tax increase-to-spending cut ratio of 4:1. November 16– On the 931st day since Senate Democrats offered a budget, the U.S. gross national debt tops $15 trillion. November 18– In search of common ground, Republican Sen. Pat Toomey puts forwarda draft proposal with both spending cuts and tax revenue. Democrats summarily rejectthe offer. November 22– President Obama placesmultiple calls, over the course of the month, to European leaders regarding their countries’ debt problems. Meanwhile, Jay Carney says it was “absolutely not” a problem for “him not to have been as involved” with the supercommittee negotiations. Now he’s off Golfing again….Now that’s quite a turkey! Remember the outrage from the administration over hefty bonuses paid to AIG executives in 2009? Back then, shortly after AIG was bailed out by American taxpayers, the company went through with already planned bonuses to top executives. The bonuses, which totaled $165 million, sparked a hot national debate over how much freedom private companies should have to pay large bonuses after they had become dependent on taxpayers. The House and Senate passed measures calling for the taxing of executive bonuses for bailed-out companies to the tune of 70-90 percent. Last week, another set of bonuses for bailed-out companies got decidedly less bad press. Fannie Mae and Freddie Mac, to whom taxpayers have already given hundreds of billions, doled out $12.79 million in bonuses to its executives for meeting modest goals. One could argue that there’s no outrage from the administration over the Fannie and Freddie bonuses because the total amount of bonuses is so much smaller. But in fact, the average executive bonus is far larger. Fannie and Freddie spent $12.79 million on 10 bonuses for an average of $1.27 million per bonus. AIG spent $165 million on 400 bonuses for an average of $412,000 per bonus. That’s about three times the level of bonus for bailed-out Freddie and Fannie execs compared to AIG. Some have argued that the AIG bonuses were different because they went to people who caused the problem, which is true, but only partly. A lot of them were going to people outside the parts of AIG that caused the trouble, but the criticism of AIG remains valid. At Fannie and Freddie, the bonuses are going to those who are attempting to mitigate taxpayer losses, and the argument is that Fannie and Freddie have to compete with private sector salaries in order to get the best to do the mitigating. Nonetheless, lawmakers are moving toward limiting bonuses for these executives. Even if true, it is a galling argument that we must shell out more money to Fannie and Freddie simply because they’ve already lost so much of our money that we need to give them lots of our money to prevent the loss of more of our money. After all, wouldn’t you want to make millions of running your company into the ground!! Last year I was unemployed the early part of the year. I had one very good position that I was first in line for. But as soon as Obamacare passed and he learned more about it from his insurance carrier, he cancelled hiring me or anybody else. I am still in touch with the company owner and he still has not hired anybody due to his benefit cost and other expenses climbing rapidly due to Federal Government rules and regulations implemented by the Obama administration. #2: We are not hiring because there are not enough sales to support more employees. The view over the horizon, because of Obama, is cloudy and risky, at best. We are already in precarious positions and just trying to hold on. Many, many businesses have folded. Many, like me, have put all our retirement funds into the business just to keep the minimum number of employees just to hold on, waiting for the next election, hoping for anyone but the destroyer of this economy. The economy goes up and down. Obama is using the bad economy as a tool to accoumplish his goals. Read his books. Listen to his words. He gets more of what he wants when we are suffering and vulnerable. OWS is a great example. The US economy is resilient and will recover on its own, excluding the unthinkable decisions Obama has made. If those decisions are not obvious to any of you, then you are not paying attention, or you wouldn’t believe them if they were explained to you. But just a very few are the housing failier and domestic oil. Obama gets an F-. How about Cash for Clunkers and $8500 for home purchases, all at the expense of gov. spending at taxpayers expense. Union payoffs for political campaign funds. The list is endless. It’s not that businesses want to punish Obama by not hiring. Businesses exist to make a profit, hire and expand, and make more profit. We have no choice now in not hiring because Obama’s decisions are destroying this economy and our futures. We have no choice until sanity returns to DC. Don’t forget to vote against EVERY Democrat US Senator. It will take real power to undo what has been done. Because what celebration of small business would be complete by the Obama administration without reaffirming the mounds of red-tape that Obama and his confederates have saddled small business with? “Overall, the Obama Administration imposed 75 new major regulations from January 2009 to mid-FY 2011, with annual costs of $38 billion,” reports Heritage. In contrast, there were only six deregulatory actions by the Obama administration saving $1.5 billion says the Heritage report. And those costs were just the cost by the government to implement the regulations, not the overall cost to industry- that is; not the costs to you and I. In terms of the overall impact on the economic health of the country, the figure is much higher. “More specifically, the total cost of federal regulations has increased to $1.75 trillion,” writes the federal government’s own Small Business Administration. Heritage reports that that’s nearly twice the amount that the government collects annually in individual income taxes. Ouch! The costs are a hidden tax, not just on the rich, says Heritage, but on everyone equally. But because regulations prevent the creation of new jobs, it hits the poor and middle class particularly hard, “while the updated cost per employee for firms with fewer than 20 employees is now $10,585 (a 36 percent difference between the costs incurred by small firms when compared with their larger counterparts),” says the SBA. In other words, small employers take it on the chin at the rate of $3,810.60 per employee more than the big guys do. It’s not hard to figure why the Obama administration is creating jobs at a post-war low. Jobs aren’t the goal. Fundraising is. 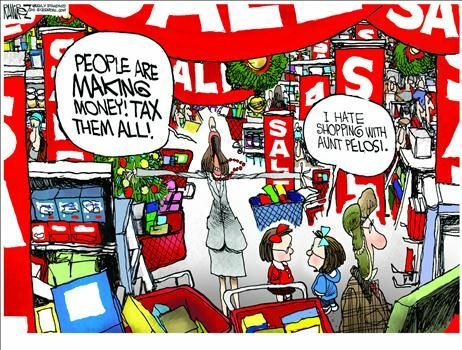 That’s why dog and pony shows like Small Business Saturday loom so large for Obama and his corporate pals. They serve as a reminder that Obama “cares” about little guys [cough, hack], while giving him an opportunity to put the squeeze on the Big Guys. If Reagan was the Great Communicator, Obama is the Great Fabricator. And as we all know, it’s all about him. Ann Coulter: Bored with the Penn State scandal because it didn’t implicate any prominent Republicans, the mainstream media have suddenly become obsessed with Grover Norquist’s “Taxpayer Protection Pledge.” They are monomaniacally fixated on luring Republicans into raising taxes. And then if they do, it will be a campaign commercial against every Republican 24/7/365 for the next 3,000 years! A Multimedia Sensation! A Divine Revelation! Just look at how obsessed they are with the Bush Tax Cuts, Reagan, etc. If Democrats could balance the budget tomorrow and quadruple government spending, they’d refuse the deal unless they could also make Republicans break their tax pledge. That is their single-minded goal. But the media are trying to turn it around and say that it’s Republicans who are crazy for refusing to consider raising taxes no matter how much they get in spending cuts. Tell a Lie often enough, especially 24/7/365 on dozens of channels and you tell the people anything you want and it can become “truth”. At Tuesday night’s Republican presidential debate on foreign policy, for example, CNN’s Wolf Blitzer asked the candidates for the one-millionth time if they would agree to raise taxes in exchange for spending cuts 10 times larger than the tax hikes. Why are Republican refusing to have anyone but a Liberal as moderator so they can bait them. Are they masochists too? Terrorism can wait — first, let me try to back you into a corner on raising taxes. Amazingly, Blitzer cited Ronald Reagan’s statement in his autobiography, “An American Life,” that he would happily compromise with Democrats if he could get 75 or 80 percent of what he wanted — implying that today’s Republicans were nuttier than Reagan if they’d refuse a dollar in tax hikes for $10 in spending cuts. Yeah, but that’s not liberal “history”. The one that always favors them. Orwell would be proud. Maybe that’s why Republicans won’t agree to raise taxes in exchange for Democratic promises to cut spending. For Americans who are unaware of the Democrats’ history of repeatedly reneging on their promises to cut spending in return for tax hikes, the Republicans’ opposition to tax increases does seem crazy. That’s why Republicans need to remind them. From the moment President Reagan succeeded in pushing through his historic tax cuts in 1981 — which passed by a vote of 323-107 in the House and 89-11 in the Senate, despite Democrats’ subsequent caterwauling — he came under fantastic pressure to raise taxes from the media and the Democrats. You will notice it is the same culprits pushing for tax hikes today. But, of course, the Democrats were lying. Instead of cutting $280 billion, they spent an additional $450 billion — only $140 billion of which went to the Reagan defense buildup that ended the Evil Empire. Meanwhile, Reagan’s tax cuts brought in an extra $375 billion in government revenue in the next six years — as that amiable, simple-minded dunce Reagan always said they would. His tax cuts funded the entire $140 billion defense buildup, with $235 billion left over. 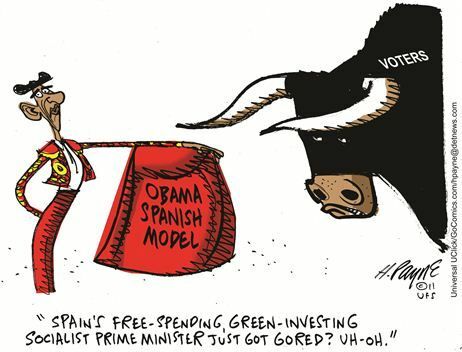 But the Democrats not only refused to implement any budget cuts, they hiked government spending. To the untrained eye, that appears to be the exact opposite of cutting the budget. Even the gusher of revenue brought in by Reagan’s tax cuts couldn’t pay for all the additional spending piled up by double-crossing Democrats — more than twice as much as Reagan’s spending on defense. Unable to learn from the first kick of a mule, President George H.W. Bush made the exact same deal with Democrats just a few years later. Pretending to care about the deficit — created exclusively by their own profligate spending — Democrats demanded that Bush agree to a “balanced budget” package with both spending cuts and tax increases. In June 1990, Bush did so, agreeing to tax hikes in defiance of his “read-my-lips, no-new-taxes” campaign pledge. 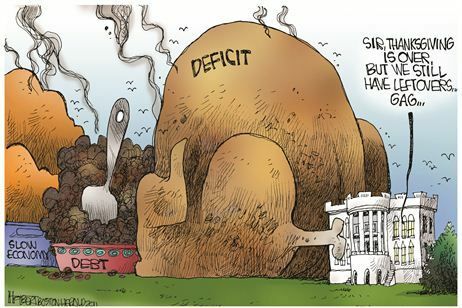 Again, Democrats, being Democrats, produced no spending cuts, and within two years the increased federal spending had led to a doubling of the deficit. The Democrats didn’t care: All that mattered was that they had tricked Bush into breaking his tax pledge, which they celebrated all the way to Bush’s defeat in the next election. Democrats had effectively taken away the Republican Party’s central defining issue — low taxes — and the Republicans got nothing in return. Apparently, Republicans can read the Democrats’ record, too. 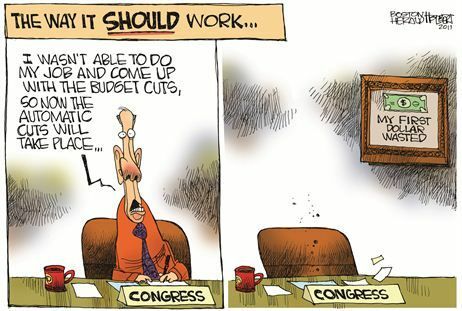 They know that Democrats will promise to cut spending in exchange for tax increases and then screw Republicans on the spending cuts. It’s been 20 years since they pulled that scam, so Democrats figure it’s time to make Republicans break a tax pledge again. As long as no one knows the history of these “deals,” the media can carry on, blithely portraying Republicans as obstructionist nuts for refusing the third kick of a mule. Who is the bigger fool, the fool or the fool who follows it? Or in this case, whose the bigger fool, the fool who thinks Democrats will keep any promises to cut spending or any Republicans who’d believe them?? 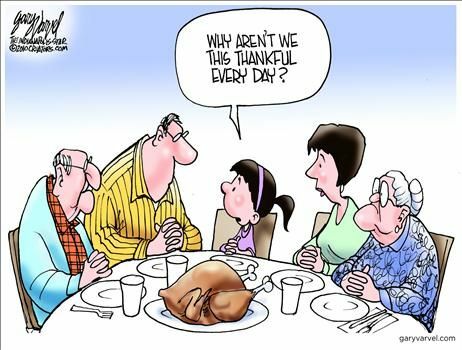 And to celebrate the passing of another Turkey day, a real “fish” story to tell your kids about how generous and kind Big Government is. IT’S THE ONE THAT WAS TAKEN AWAY! This fish story may lack the epic qualities of Ernest Hemingway’s 1952 classic“The Old Man and the Sea,” but for New Bedford’s Carlos Rafael, the outcome was about the same. In both cases, despite capturing and bringing home a huge fish, powerful circumstances conspired to deprive the luckless fishermen of a potentially huge reward. Rafael, who in the last four years purchased 15 tuna permits for his groundfish boats to cover just such an eventuality, immediately called a bluefin tuna hot line maintained by fishery regulators to report the catch. When the weather offshore deteriorated, the Apollo decided to seek shelter in Provincetown Harbor on Nov. 12. Rafael immediately set off in a truck to meet the boat. It was also a lucrative one. Highly prized in Japan, a 754pound specimen fetched a record price at a Tokyo auction in January this year, selling for nearly $396,000. These fish can grow to enormous size. The world record for a bluefin, which has stood since 1979, was set when a 1,496-pound specimen was caught off Nova Scotia. However, when Rafael rolled down the dock in Provincetown there was an unexpected and unwelcome development. The authorities were waiting. Agents from the National Oceanic and Atmospheric Administration’s Office of Law Enforcement informed him they were confiscating his fish — all 881 pounds of it. No charges have yet been filed in connection with the catch, but a written warning is anticipated, according to Christine Patrick, a public affairs specialist with NOAA who said the fish has been forfeited and will be sold on consignment overseas. Proceeds from the sale of the fish will be held in an account pending final resolution of the case, NOAA said. No information on the value of the fish was available Friday. Be Thankful they are from the Government and they are here to help you! After yesterday’s car accident that totaled my car what else is there to say. The false accusations of “sexual harrasment” at Fry’s Electronics an hour earlier is another story for another day. So I turn it over to one of my favorite writer, Thomas Sowell. “Alice in Wonderland” was written by a professor who also wrote a book on symbolic logic. So it is not surprising that Alice encountered not only strange behavior in Wonderland, but also strange and illogical reasoning — of a sort too often found in the real world, and which a logician would be very much aware of. Perhaps the most remarkable feature of the world envisioned by today’s liberals is that it is a world where other people just passively accept whatever “change” liberals impose. In the world of Liberal Land, you can just take for granted all the benefits of the existing society, and then simply tack on your new, wonderful ideas that will make things better. For example, if the economy is going along well and you happen to take a notion that there ought to be more home ownership, especially among the poor and minorities, then you simply have the government decree that lenders have to lend to more low-income people and minorities who want mortgages, ending finicky mortgage standards about down payments, income and credit histories. That sounds like a fine idea in the world of Liberal Land. Unfortunately, in the ugly world of reality, it turned out to be a financial disaster, from which the economy has still not yet recovered. Nor have the poor and minorities. Apparently you cannot just tack on your pet notions to whatever already exists, without repercussions spreading throughout the whole economy. That’s what happens in the ugly world of reality, as distinguished from the beautiful world of Liberal Land. The strange and bizarre characters found in “Alice in Wonderland” have counterparts in the political vision of Liberal Land today. Among the most interesting of these characters are those elites who are convinced that they are so much smarter than the rest of us that they feel both a right and a duty to take all sorts of decisions out of our incompetent hands — for our own good. In San Francisco, which is Liberal Land personified, there have been attempts to ban the circumcision of newborn baby boys. Fortunately, that was nipped in the bud. But it shows how widely the self-anointed saviors of Liberal Land feel entitled to take decisions out of the hands of mere ordinary citizens. Secretary of the Treasury Timothy Geithner says, “We’re facing a very consequential debate about some fundamental choices as a country.” People talk that way in Liberal Land. Moreover, such statements pass muster with those who simply take in the words, decide whether they sound nice to them, and then move on. But, if you take words seriously, the more fundamental question is whether individuals are to remain free to make their own choices, as distinguished from having collectivized choices, “as a country” — which is to say, having choices made by government officials and imposed on the rest of us. The history of the 20th century is a painful lesson on what happens when collective choices replace individual choices. Even leaving aside the chilling history of totalitarianism in the 20th century, the history of economic central planning shows it to have been such a widely recognized disaster that even communist and socialist governments were abandoning it as the century ended. That way lie unfunded mandates, nanny state interventions in people’s lives, such as banning circumcision — and the ultimate nanny state monstrosity, ObamaCare. The world of reality has its problems, so it is understandable that some people want to escape to a different world, where you can talk lofty talk and forget about ugly realities like costs and repercussions. The world of reality is not nearly as lovely as the world of Liberal Land. No wonder so many people want to go there.